The Healthy Boy: Are Egg Yolks Bad For You? If you were to ever come over to my apartment and raid my refrigerator Gillian McKeith style (if you don't know who she is - click here, she is the God of nutrition in the UK and will totally cut you, fillet you and use your skin as a pashmina if she finds anything processed in your fridge - LOVE her), you would find that I always have it stocked with three staples: Spinach, cottage cheese, and liquid egg whites. I prefer buying the liquid egg whites because I can't be bothered sitting there cracking each egg and separating the white from the yolks, and I have better things to do like watching that addictive mess that is The Real Housewives of New Jersey and hitting replay to watch Danielle get her weave pulled out in slow motion over and over again. I use egg whites because I like a large breakfast and like most people don't want the fat and calories contained in the yolk. Well it turns out I may have been doing my body a disservice. You see some people, maybe even you reading this, avoid egg yolks because you have been told they are high in cholesterol, saturated fat, and will cause your backside to balloon to Kardashian proportions. But it turns out not only are eggs good for you, but they can actually help reduce cholesterol, as well as help you build those biceps and shrink those thunder thighs. LDL (Low Density Lipoproteins) otherwise known as the "bad cholesterol" is produced by your liver and transported to other parts of your body such as heart, muscles, and other organs. This is the one you need to keep low because it will clog up your arteries and cause numerous health concerns such as heart disease. If you have a high LDL, it indicates that you have too much cholesterol floating around in your blood stream. HDL (High Density Lipoproteins) yep you guessed it, the "good cholesterol", is also produced by your liver, but it's role is to go through your body and grab the bad cholesterol and other fats and bring them back to your liver so that they can be destroyed or processed into something your body can use. So it would make sense that you want more HDL and less LDL. 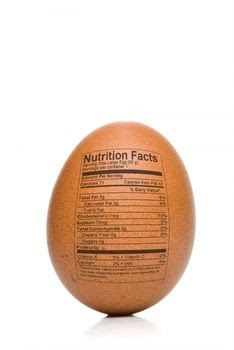 One large egg contains roughly 213 mg of cholesterol, so back in the 70's when people started becoming aware of cardio vascular disease, they made the assumption that the cholesterol in eggs, and other food items, would automatically cause an increase in the bad LDL cholesterol. Recent research now shows us that this is not true, and in fact consuming eggs can actually cause an increase in HDL, the good cholesterol. 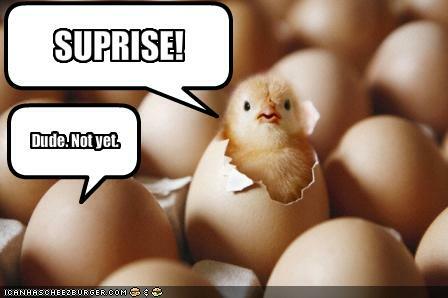 A study in Thailand where test subjects were given one whole egg to eat each day for three months, with no other changes to diet or exercise, saw that their HDL levels increased, and other studies has shown that even eating up to 6 eggs a day saw no increase on the bad cholesterol. What are some of the other foods that have been known to increase good cholesterol and lower the bad? Berries, kale juice, unsweetened cranberry juice, and cocoa. So there you have it, we have dispelled the myth that eggs yolks increase bad cholesterol, and in fact have learnt that they can decrease our bad cholesterol by increasing the good. But cholesterol isn't the only benefit chowing down on some of those little yellow pockets of goodness, in fact the mighty egg has plenty. Lets take a look. Further to this, it turns out that if you are one of those people that are throwing your yolks away, you may not be benefiting from the protein that's contained with the whites. Egg whites only have around 3 grams of protein per egg, while the yolk contains the majority of the amino acid complex and without the two combined, your body may not be absorbing the protein from the whites effectively. But what about all those calories contained within in the yolk? Well one whole large egg contains 70 calories, 4.5 grams of fat (the majority of that unsaturated) and 6 grams of protein total. When you consume high quality protein and unsaturated fats such as those contained in the egg, it keeps you fuller for longer, leaving you to eat less later on during the day. The point to note is that monounsaturated and polyunsaturated fats contained within the yolk, have actually shown to help increase testosterone levels, meaning an increase in muscle mass and a decrease in body fat. So how many eggs should you eat per day? Well Doctors and Nutritionists recommend that you eat two eggs per day, but if you workout, want to gain some muscle, or want to shed some pounds, you should consider eating more than that. Most bodybuilders and fitness experts eat more than two per day. But please, please, please buy free range, cage free eggs and where possible, organic eggs. If you have ever watched the amazing documentary Food, Inc. you will know what terrible living conditions caged chickens live in, not to mention the antibiotics and hormones they are fed. Unfortunately, the words "cage free" and "free range" are not regulated by the USDA here in the States, so it may only mean that the chickens are let out for only a short time each day and then crammed back into holding pens. Look for "Certified Organic" which means the chickens are care free, have ample space to move around, have access to outdoor spaces, and are not fed antibiotics or hormones. So hopefully this post has unscrambled a few of the misconceptions out there about whether egg yolks are healthy or not. I know that I am going to be adding a couple of them to my breakfast now each morning. 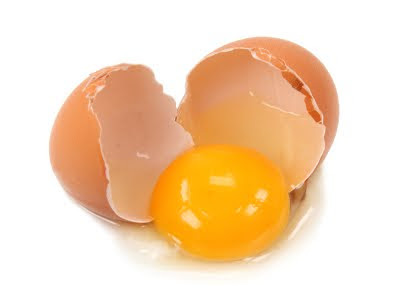 So if you want to build some muscle, burn some fat, and work on your overall health and wellness, it turns out, all you have to do is crack a few eggs. Love your site man! Love it!! Hey! I gave you a blog award!! check it out here: http://www.phoenixrevolution.net/archives/659 I'll be back to read more, later! Hey Guys! Chrsitine, thank you so much for the blog award, im hoping to post about it tomorrow. Sillyle, I think that article from 2007 is a little extreme. I completely agree that she shouldn't call herself a doctor, but the fact of the matter is she has studied nutrition and health extensively including having a PhD and a ton of other degrees, but most importantly she has helped so many people lose weight and live better lives. Those results need to be celebrated not criticized. I don't know why people have to tear people down and be negative. Lets focus on her positive influence on health and nutrition. If we could be as half and healthy as her, our lives would be a lot more happier. Great information! I've been avoiding the yolks for years! Now I see I don't have to. so many people throw away the yolks not realizing how many good omega 3's are going out the window! thanks for the enlightenment! HDL is grabbing LDL and sends it back to do become somthing good, what is it really making it into? It excretes the LDL into the bile and then the feces with the help of water and fiber ingestion. This is why a high fiber diet is necessary to remove waste thoroughly and efficiently before LDL is reabsorbed. So the myth ends for me... i avoided to eat yolks bec. i heard that can cause highblood. 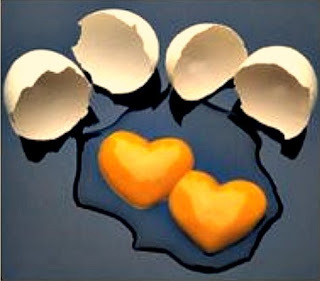 but now i know that the cholesterol of eggyolk is good for the body. tnx for the info.